A list of the best places to poop in a pinch Downtown? Sure, why not. 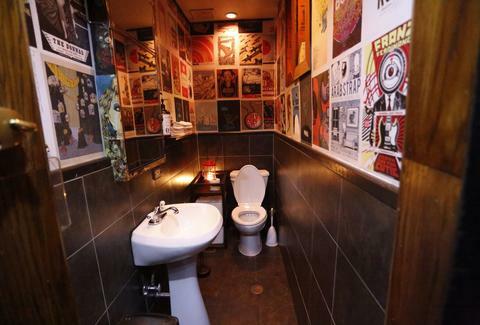 A list of the eight best must-poop-in public bathrooms in all of Chicago, though? Now we're talkin'. 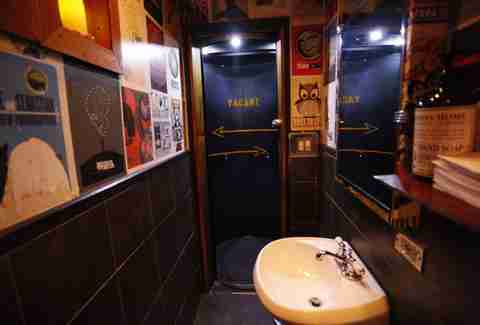 With help from Australian toilet connoisseur Dan Schaumann, whose Toilography blog documents bathrooms the world over, we assembled this veritable Chicago bathroom bucket list, with everything from skyline views, to naughty wallpaper, to the best bar graffiti around. (Men's room only) If you've ever wanted the feeling of BM'ing behind the mirror of a police interrogation room (that's normal), Streeter's has you covered. Or something. Above the trough urinal is a one-way mirror where you can see all the action inside the bar. The modern art aesthetic extends to the washrooms as you enter through an airlock door (!) into a tiny wash closet decked with indie rock posters. The door can be tricky -- so know that it works like a darkroom, where you stand in the cylinder and rotate the walls around you to gain passage. (Women's room only) Poo with a view of the city inside the lounge level of the Hancock Center above the conservatory. 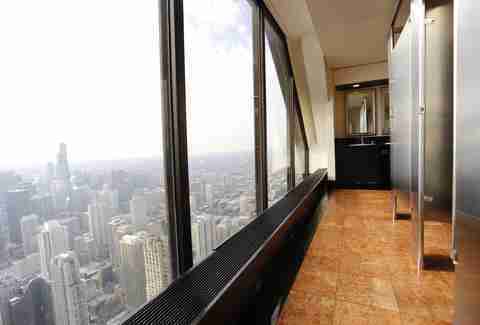 Whether the Chicago skyline puts you in a relaxed state or doing the Tilt shook something loose, enjoy a privilege the men's washroom doesn't afford. Having a dive bar so firmly entrenched in hipster territory does make for some masterful stall graffiti. In between bands or comics, abscond to the restroom for entertaining scrawlings ("your love is like a river, stinky and polluted" ). Bonus points for packing your own Sharpie. 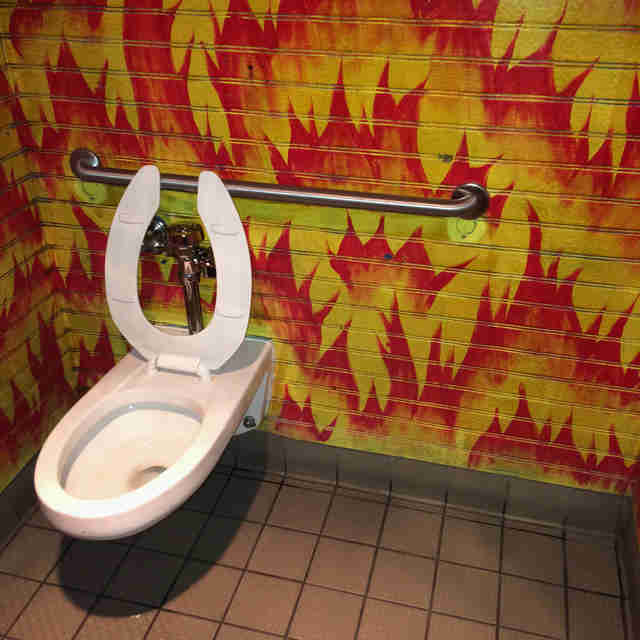 Alicia Keys sung it best with "This Toilet's on Fire" (pretty sure those are the lyrics). Such is the case in the House of Blues "engulfed in flames" bathroom, where even if your favorite way-past-their-prime '90s band is stinking up the joint, you can too. Only in Dusek's basement bar can you tip back dainty punch cups, house a pot of fondue, and then spew your extraneous thoughts on a chalkboard in the bathroom. Maybe keep your Picamon(?!) feelings to yourself, though. A top-notch burger joint calls for a top-notch crapper, which Kuma's provides via excellent bathroom wallpaper that depicts well-captioned vintage pinups for the girls and regrettable tattoo designs for the guys. There's a beautiful symmetry to dropping logs inside a log cabin-themed bar. 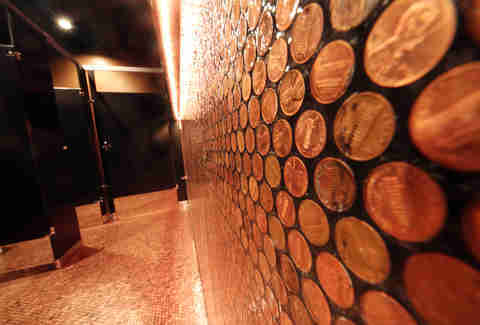 Inside the restroom you'll be surrounded by thousands of pennies epoxied onto the walls, guaranteeing you'll always have a view of Abe Lincoln, America's greatest president, struck down just before flush toilets came over to the United States. This one's for you Abe. Sean Cooley is Thrillist's Chicago Editor and he's making a Spotify playlist for Alicia Keys "This Toilet's on Fire". Follow him on Twitter @SeanCooley. Dan Schaumann is a singer/songwriter and an avid traveller who runs the blog Toilography. Follow him on Instagram @Toilography.